Tonight’s radio broadcast “Lange Nacht der Neuen Musik” on ORF Oe1 from 23.03 until 06.00 tomorrow early morning is dedicated to the 50th anniversary of the Institute of Electronic Music and Acoustics IEM of the University of Music and Performing Arts Graz, which, at the same time, is musikprotokoll festival’s Public SHAPE Lecture of 2015. For five decades, the IEM – engaging in an exchange with affiliated institutions the world over in terms of its staff and artistic undertakings – was and continues to be a fascinating laboratory at the cross- and interdisciplinary intersections of art and science, technology and musical practice, electronic music, acoustics, audio engineering, sound, and media art. 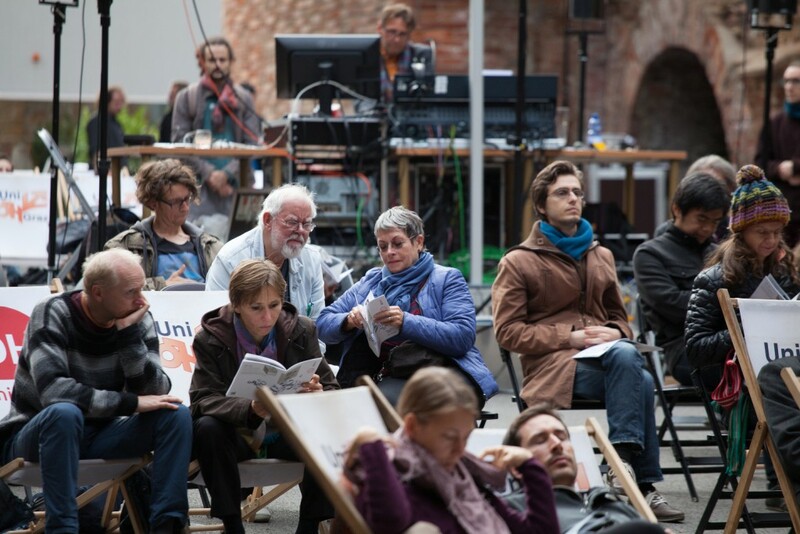 During this year’s musikprotokoll IEM celebrated its anniversary in the Schloßberg Kasematten with a series of “Vintage Concerts” and a vast line-up of speakers, vintage electronics and many artists.